The Galleon Takeaway is not just your average Fish and Chip shop. 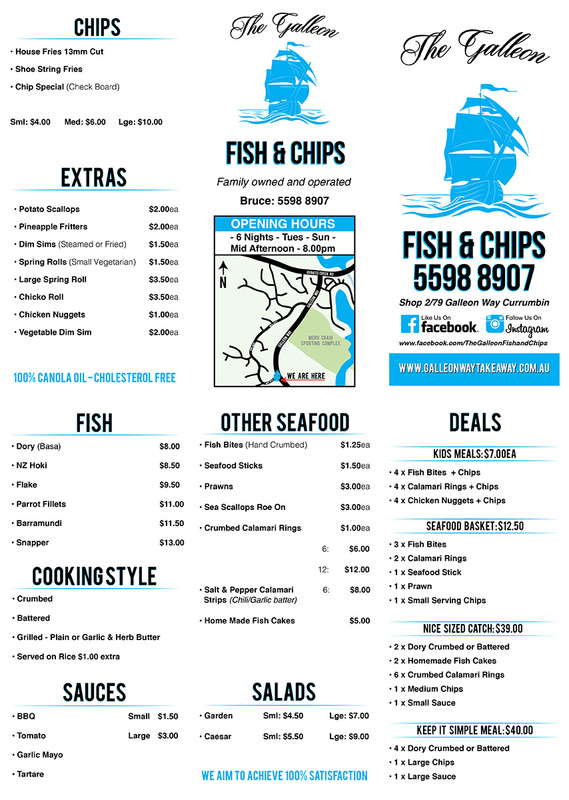 Located on Galleon Way, Currumbin Waters we are the go to place for fish and chips in the Currumbin, Currumbin Waters and Elanora areas. With everything fresh in and made to order you are in for a delicious treat.